Boots are a staple in any shoedrobe. 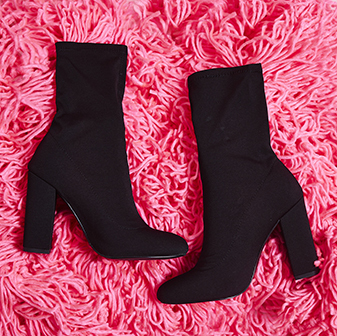 Heeled boots, ankle boots, knee high boots - they're all essentials to keep you looking hot AF. Whatever the season, style or occasion - boots are always a good idea. 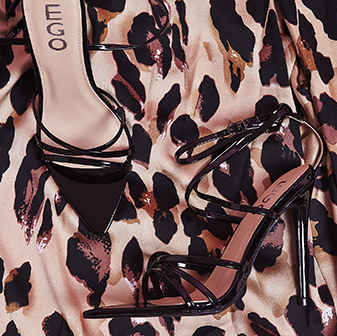 Heels, flats, ankle, knee-high or sock boots - there's something for every occasion. To keep your boot selection bang on trend and hot AF, make sure you keep your eyes on our new in boots so you're the first to get your hands on this season's biggest drops. With something for every style, you're sure to find your new BFF (boot best friend). What are you waiting for, girl - boot up!